Inspiring change was the theme for this year’s International Women’s Day held last month and with the UK currently experiencing the lowest percentage of women in manufacturing roles in the EU, it is evident that now is the time for that change to happen. 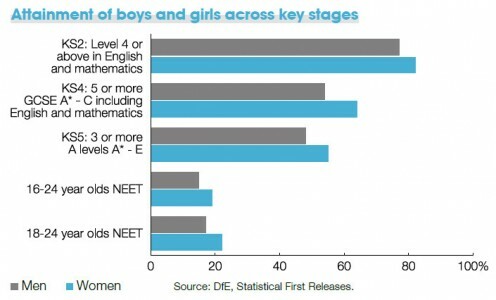 School-aged girls are less likely to study STEM subjects at GCSE, this trend continues through A-level and usually these subjects are a prerequisite for studying engineering at university or embarking on an apprenticeship in a manufacturing discipline. However, the gender gap is not passing unnoticed. Initiatives are appearing across Britain to inspire young women to pursue STEM subjects and drive them into manufacturing roles. In January, trade association British Glass launched Women in Manufacturing, an action aimed at uniting education, government and industry to raise awareness of well-paid, fulfilling jobs within the sector and to push a cultural shift through education to eliminate gender stereotyping from school to industry. British Glass CEO Dave Dalton said: “Modern manufacturing and engineering is a technologically advanced and innovative sector in which to work, however young girls and women are not inspired to take up STEM related studying or careers. In addition, Cranfield University, producers of the Female FTSE Report since 1999, in collaboration with EEF released the first FTSE 100 – Women in Manufacturing in 2013, to identify opportunities and successes available to women in the modern manufacturing workplace, while highlighting female role models in the industry. The 2014 report was released at the end of March. Professor Elena Rodriguez-Falcon from the University of Sheffield champions women in manufacturing and is instrumental in the university’s efforts to influence policy and work with schools to raise the profile of women in manufacturing. Rodriguez-Falcon told TM: “During the Second World War, women were bombarded with posters telling them they could succeed in manufacturing. After the war the promotions disappeared and they were expected to return to the home. Many of them didn’t want to. I used the example of engineers that design and produce prosthetic limbs. She was shocked because she had no idea that manufacturing had anything to do with this.” Thanks to the endeavours of such people and initiatives the landscape is changing. has identified three women and a group of students at different stages in their careers who are an inspiration to young women everywhere.